"VMware Horizon vs Parallels Remote Application Server"
VMware came into the business from a pure VDI solution, while Parallels Remote Application Server originated from RDS. VMware may be more appropriate for VDI clients; however, Parallels Remote Application Server will exceed expectations with RDS clients. While considering both VDI and RDS solutions, RDS is less expensive than VDI. As a VDI management tool, VMware Horizon View is exceptionally hard to set up, arrange, and utilize. Even though it is a dedicated VDI management solution, it has a number of shortcomings when compared to Parallels Remote Application Server VDI module. An out-of-the-box installation of VMware Horizon View is limited in functionality, requiring additional add-ons (some at an additional cost) to provide basic functionality. 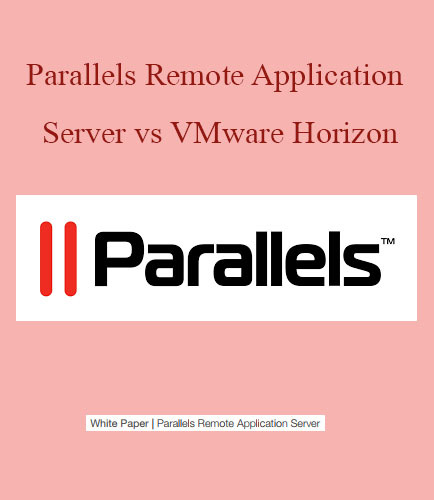 This paper explains how the features of Parallels Remote Application Server and VMware Horizon differ and how these differences affect the end user experience. How the installation processes for Parallels Remote Application Server differ from VMware Horizon? How to keep virtual desktops up to date? What are the unique VMware Horizon View features?